Relocation to new office building | Unipro. Reliability. Quality. Intellect. Relocation to new office building – Unipro. Reliability. Quality. Intellect. 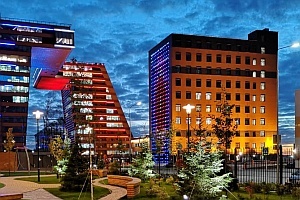 Unipro has changed its` headquarter to new building on Nikolaeva 11/5 in the midst of Academpark, in close vicinity to the famous “geese” towers. Now we have our own 7th floor, interesting surrounding views, tight connection to local hi-tech community and several catering points. Our business area has increased, technical conditions have improved, so that we are ready to accept and launch new projects. Welcome to visit us!